Most Awaited Tamil Movies Of 2012. The list of Most anticipated Tamil movies of year 2012.We’ve got new Tamil films from Superstars like Rajinikanth,Vijay,Suriya,Karthi and other lead actors.The films are listed here with expected release dates. 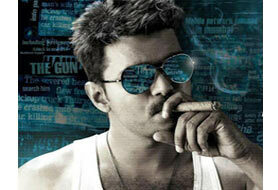 A Gautham Menon movie with Vijay. 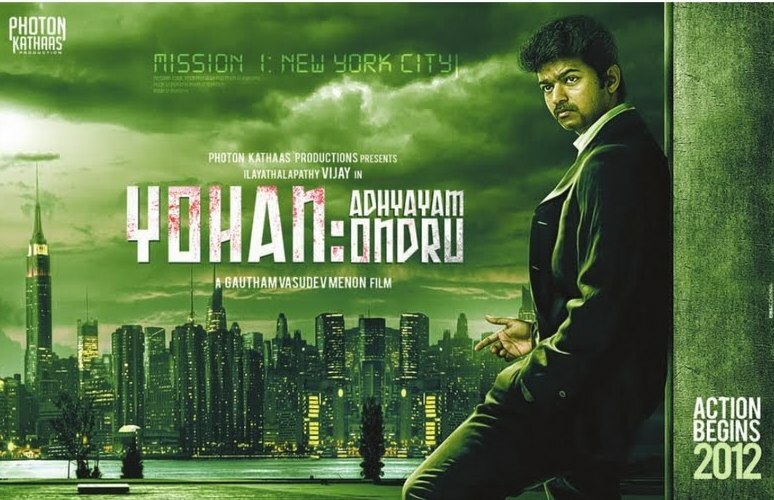 The other cast and crew is not yet finalized.The buzz is that ‘Yohan: Adhyayam Ondru’ is a sci-fi thriller and Vijay playing the role of a secret agent. AR Rahman will compose music for this movie. The movie will be produced by Photon Kathaas. The movie with the tagline "every man has a past.every don,a history".Prequel to 2007 super hit movie Billa.This may be for the first time Prequel is planned for a Tamil movie.The movie explains how a normal guy became the underworld don Billa. The movie also stars Parvathy Omanakuttan,Bruna Abdullah in lead roles.Music composed by Yuvan Shankar Raja. 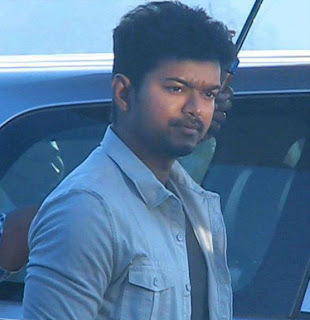 Tamil Remake of 3 Idiots Starring Vijay,Jeeva,Srikanth in lead roles with Ileana D'Cruz,Sathyaraj,S. J. Surya in other major roles. 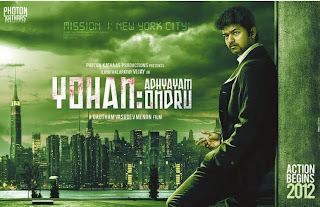 Directed by Shankar and music composed by Harris Jayaraj. Music will be released on 5th December 2011. Rajinikanth's Upcoming movie directed by K. S. Ravikumar.The movie stars Deepika Padukone in lady lead role. Music will be composed by A R Rahman. 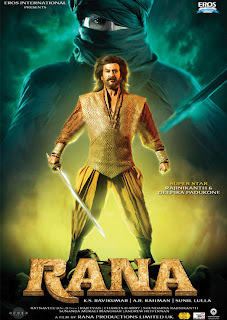 Rana is a historical action film and Rajinikanth will play three characters. 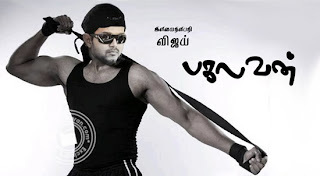 Vijay-AR Murugadoss movie which also stars Kajal Aggarwal in lady lead role. Music composed by Harris Jayaraj and Cinematography by Santhosh Sivan. The movie set for May-June Release. Music composed by Harris Jayaraj. The movie set for 2012 April release. 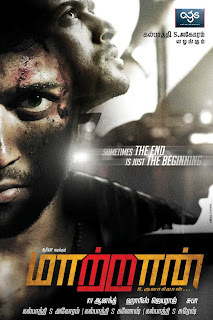 The Kolaveri movie Starring Dhanush,Shruti Haasan in lead roles. Directed by Aishwarya Dhanush and music composed by Anirudh Ravichander. The movie expected to Release on 13 April 2012. Super star Rajni's first 3D movie with performance capturing technology.The movie also stars Deepika Padukone. 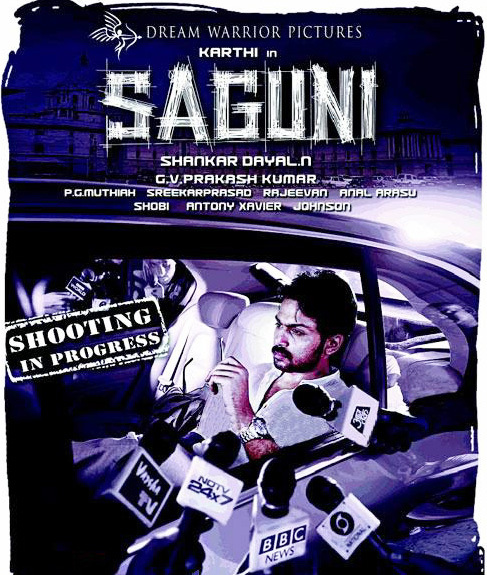 Saguni features Karthi,Pranitha in lead roles.directed by Shankar Dayal. Music by G. V. Prakash Kumar.